EuMC (European Microwave Conference) is the most representative European Microwave Week 2018 event. We are talking about the largest event in Europe dedicated to microwave components, systems and technology. In this Conference, the tendencies in the fields of systems and technologies of microwaves, millimeter waves and terahertz are presented. In the EuMC2018 will disscuss issues related to high frequencies, from materials and technologies to integrated circuits, systems and applications in all its aspects: theory, simulation, design and measurement. All these aspects of the market are represented through examples that include the latest developments for filters and passive components, modeling and design of RF MEMS and microsystems, high frequency and high speed microwave data, microwave wave technologies and highly stable millimeters. and ultra low noise, new linearization techniques, 5G, IoT, and the impact of new packaging technologies on development applications. 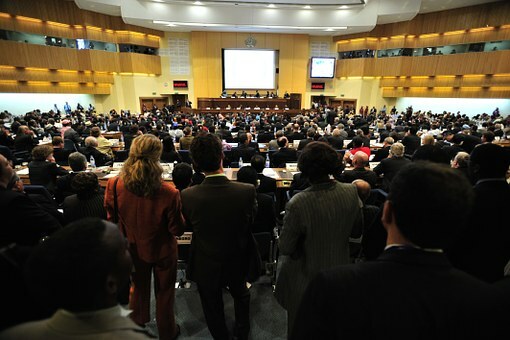 One more year, the conference will place special emphasis on emerging technologies, additive manufacturing techniques and materials for microwave components such as nanotechnologies and graphene, structures and metamaterial devices, tunable RF components, reconfigurable RF systems and packaged systems. But, in this sense, the Conference has a broader scope that includes the theory of electromagnetic fields, theoretical and experimental developments in wave propagation systems and antennas, and advanced simulation and characterization techniques. In the same way that attention is paid to new trends, this year will be an additional focus on the system of future microwave communications, wireless energy transfer, radar with wireless communication capability, millimeter wave imaging systems and microwave in industrial and medical applications. All documents and conferences have been selected in more than 40 oral and poster sessions; that is why the conference represents an exciting forum for the presentation and discussion of the most recent advances in the field of microwaves. But just as scientific articles are of great relevance in this 2018 Conference, contributions to industrial applications are also encouraged, covering the fields of instrumentation, medicine, telecommunications, radar, space, automotive systems and of defense, etc.